At the end of the 19th century, some pastors, shocked by the poverty-stricken situation of the working-class, initiated a reflection on social justice. Paris, Faubourg Saint-Antoine Room © S.H.P.F. Following the Commune upsurge, a new theological movement appeared : social Christianity. The industrial revolution entailed such miserable living conditions in city working-class quarters that pastors were shocked and began a theological reflection on social matters. From 1872 on, the evangelical popular Mission, led by the British pastor Robert Mac All, had drawn attention to the ignorance of the working-class in religious matters. From 1878 on, Pastor Tommy Fallot, born in a family of industrialists and pastor of a chapel in the North of Paris (formerly called Chapelle Taitbout) pleaded for Christian socialism. It was not only welfare, charity or morals that mattered for him : it was a matter of social justice. At the same time, in Nîmes, the “Ecole de Nîmes” was created under the leadership the economist Charles Gide, an uncle of André Gide. He sought a third, middle way between capitalism and socialism. He founded producers’ and consumers’ cooperatives. He stressed the aspect of solidarity. 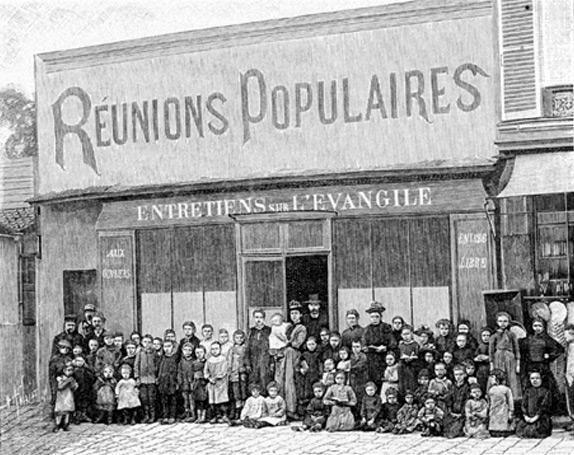 In 1896 the “Revue du Christianisme social” was founded ; it still exists today under the name « Autre Temps ». 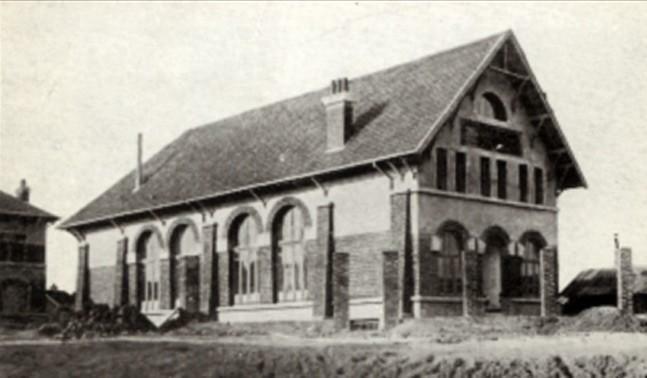 Tommy Fallot’s work was continued by two French pastors, Elie Gounelle in Roubaix and Wilfred Monod in Rouen. Both were in charge of working-class parishes and created organisations called « solidarités », a kind of peoples’ Christian centres, where Protestants Catholics and agnostics could meet together. Even though Socialism as such was not favourable to this Christian oriented movement, the Protestant Church of the beginning of the 20th was to be marked by it.